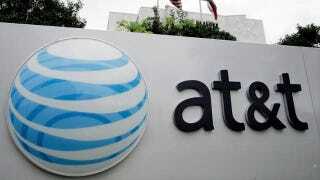 AT&T has just announced that its non-contract customers are finally catching a break. By tweaking its mobile share plans, the carrier is shaving a bit off of what were previously some pretty expensive plans. Bigger changes come into play with charges per device. Previously, there was a sliding scale, with different charges applying to different devices included with the plan. No longer. Now, with a no-contract smartphone, the fee is $25 a month. So, a single user with a 10GB plan will pay $125 a month—$25 for the phone being on the plan and $100 for data. You can add a tablet for $1o a month. The savings will be available to customers that pay full price for their phone, bring their own compatible handset to the party, or participate AT&T Next, its monthly installment plan. All those folks will be able to sign up as soon as Sunday—there's no automatic enrollment here.